1. 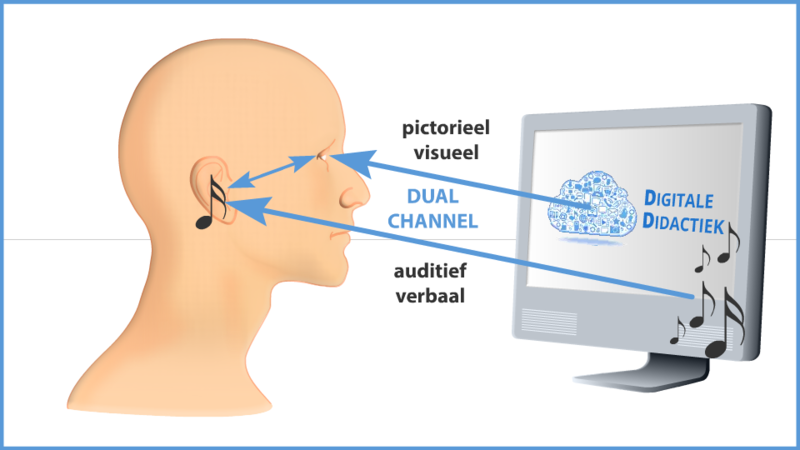 The dual channel assumption which states that people learn through an auditory / verbal channel (information provided to us via the spoken word, and so we hear) and a pictorial/ visual channel (information that reaches us through images and we therefore see). 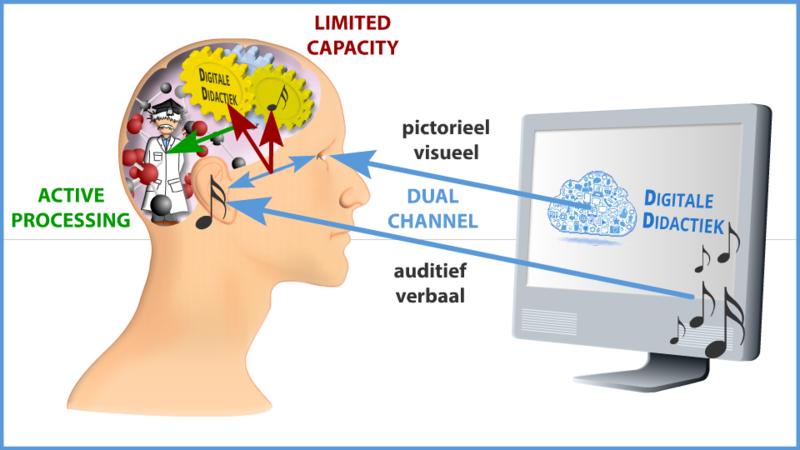 Both channels interact during the acquisition of information. 2. 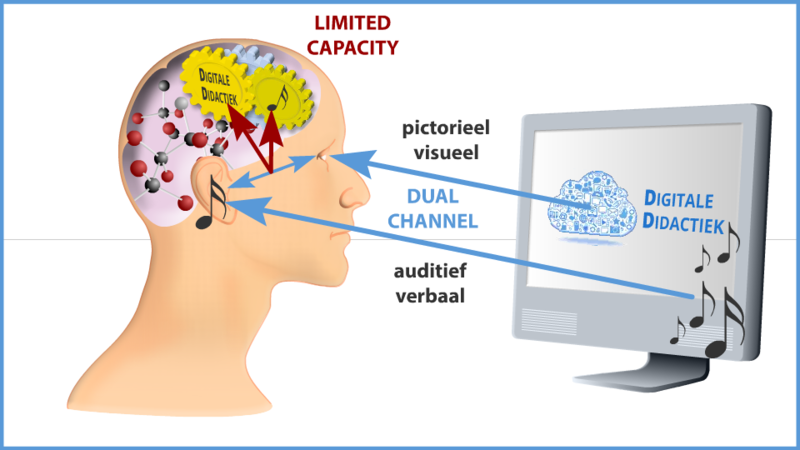 The limited capacity assumption states that only a fraction of what a person takes in through both acquisition channels can be retained in the working memory. 3. The active processing assumption which states that it is people’s innate tendency to base themselves on their previous experiences in selecting and processing new information. Mayer suggests design principles for digital learning resources, based on these assumptions. Initially (2006), Mayer suggested 10 principles, meanwhile (2011) there are 12. You will find different numbers (6, 7, 10, 11, 12). Sometimes, principles are indeed split up or combined, for example. spatial (2), and temporal (3) in one contiguity principle.